Dyno-Scannerner easily connects to your vehicle. 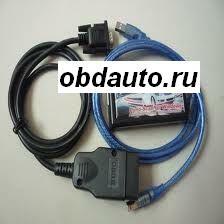 Just plug the USB cable into the PC and the OBD II cable into the connector under the dashboard. It's that easy!